Allergies are no laughing matter. In fact, they can make your life miserable and lead to all manner of nasty side-effects. Many people are happy to find refuge from allergens in their own home where they can control the environment and everything that enters and leaves. But what happens when it turns out that something in your home is perhaps inherently allergen-prone? Let’s look at what you can do to keep your mattress as allergen-free as possible! Picking a mattress made with the right materials is very important for allergy sufferers. 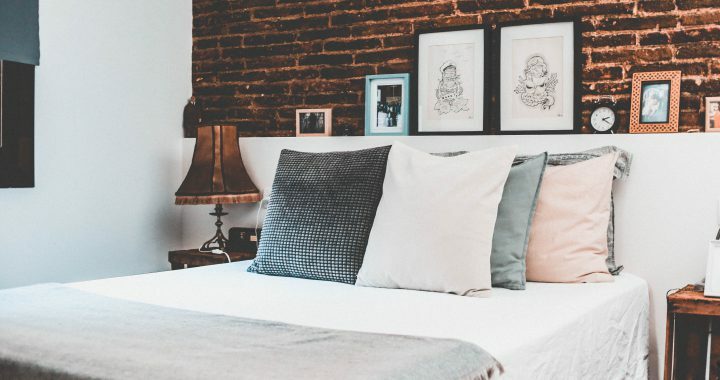 Dust mites are an incredibly common cause of allergies in your bedroom, so you’ll want to opt for a mattress that doesn’t promote their proliferation. Mattresses with a coil spring core, for example, can create a veritable dust mite haven. Those with a foam core are less prone to these issues. You might also consider opting for a latex mattress as it’s naturally antimicrobial and hypoallergenic. Organic options might also be good for allergy-sufferers. In addition to the dust mites mentioned above, there are a few things that could be responsible for your allergies. Mold and mildew are notorious for triggering allergies, and they can begin to form without your knowledge. This is most common in areas that see heat and some form of moisture – and, unfortunately, body sweat and saliva fit the bill. That means that you need to take special care of your mattress and your pillows to ensure you aren’t accidentally promoting an unhealthy environment. You might not be able to complete wipe allergens out of your room, of course, but there are certainly tips to keep them to a bare minimum. Pillow and mattress protectors can help quite a bit. You’ll want to look for barrier bedding that is designed to keep moisture out of your bed and pillows themselves. It’s much easier to wash bedding than an entire mattress, after all. You also need to wash your bedding frequently and at a high temperature at least every week. Keep your rugs, carpets, and curtains clean, too, to help eliminate dust mites or other critters that might be living in them from growing to a problematic number. Finally, airing out your mattress regularly is a good way to help keep it fresh and low on allergens. Posted in Allergies, Indoor Allergies, Living with allergies, Mite Allergy and tagged Dust Mite Allergy, Mattress Protectors, Mold Allergy, Picking a Mattress when you have Allergies.